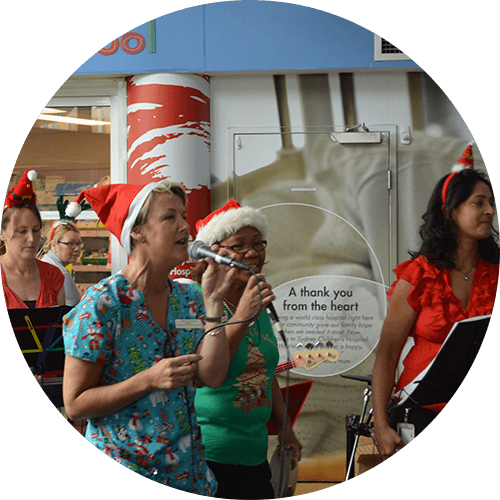 T’was the season to be jolly in December as the community came together to bring some festive fun into the Hospital. We kicked off the celebrations in style with Ausgrid, who turned the main entrance into a summer wonderland. The Hospital’s Music Therapist, affectionately known as ‘Music Matt,’ led the crowds in a chorus of carols before 10-year-old Lauren, a patient in the Hospital, turned on the twinkling lights. The colourful Christmas grotto greeted visitors all month, bringing a touch of sparkle to the Hospital. Some sporting Christmas Elves jingled their way through the wards to deliver jerseys and a lot of smiles thanks to our friends over at ISC. They pulled a few strings with the Newcastle Knights, Wests Tigers, Manly Warringah Sea Eagles, South Sydney Rabbitohs and Sydney Roosters for a huge day of visits. Our Christmas Art Exhibitions were revealed, showcasing pieces from established artists and patients alike. Bold and beautiful artworks filled the corridors, making the Hospital an extra special place to be. To wander through their magical light displays in exchangefor donations to Sydney Children’s Hospital, Randwick and The Children’s Hospital at Westmead. 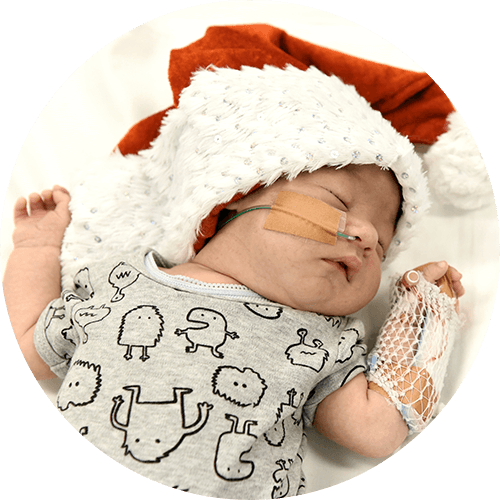 In the final days leading up to 25 December, a host of donors and supporters dropped by with gifts, and many of our corporate partners, like Bank of Queensland Specialists, helped the little ones make Christmas cards and wrap their presents. 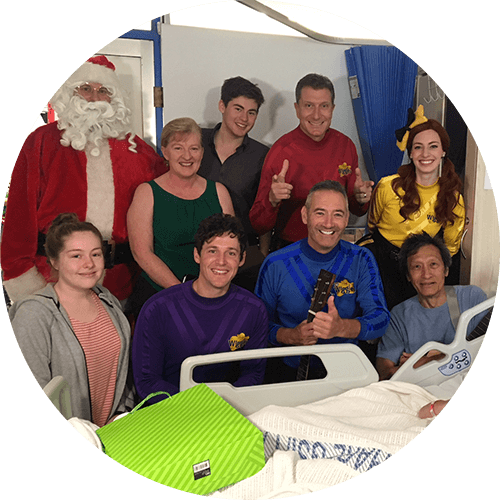 It all finished up with a very special visit from The Wiggles on Christmas Day who played a song for each and every patient in the Hospital. shopping centres to pop in. Coles made certain the kids didn’t miss out on the tastes and tangs of Christmas by putting on a delicious Boxing Day feast and donating vouchers so families in need could stock up on their seasonal supplies. More than 60 houses were illuminated across NSW for the Lights for Kids campaign. Participants welcomed visitors.